FARM Napa Valley is available for purchase at the John Anthony Vineyards Tasting Room, 1440 First Street, Napa CA 94559. Next door to the Andaz Hotel. FARM Napa Valley started as a vineyard management company where some of the finest small-lot vineyards were being hand-farmed by John Anthony Truchard and his team. In the knowledge that the best wines grow in the Farmer’s shadow, John decided to buy some of the fruit he was farming in these hidden-gem vineyards. Under the watchful eye of John Anthony and winemaker, Jeff Kandarian, we create unique, vine-to-bottle wines from across the Napa Valley. These wines form John Anthony Family of Wines Artisanal Collection, with a focus on showcasing incredible Napa fruit in each bottle. 2012 was the first vintage for the FARM Napa Valley label, with both a Chardonnay and Cabernet Sauvignon currently on release. 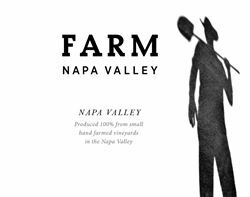 FARM Napa Valley is available at the John Anthony Vineyards Tasting Lounge. Our beautiful Napa-chic lounge has stunning touches of leather, wood and cowhide. Relax on our sofas, at high-top tables or at the bar and let our young, passionate team of wine educators lead you through our wines. Music in Tasting Room: Music complements the mood of our Napa-chic tasting lounge by day and by night. Wine Education: A young passionate team of wine educators and hosts will share our story and tell you about vineyards, varietals and vintages. Food Available: Bites of Beehive cheeses and charcuterie to complement our wines. To join the wine club, visit www.FarmNapaValley.com or call 707-265-7711. Always have FARM Napa Valley in your cellar. Each of our vine-to-bottle wines can be purchased by the full (12 bottles) or half (6 bottles) quarterly or monthly. And be the first to hear about our new releases and FARM Napa Valley happenings.